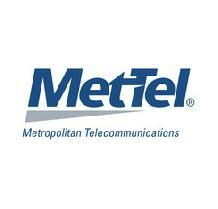 MetTel is a leading global solution provider of cutting-edge communications technology for any size organization. Backed by thenation’s premier carriers, MetTel develops and implements the technological strategies for countless global brands, Fortune 500 enterprises, and the U.S. government by providing smart solutions that streamline their complex operations. unparalleled coverage and a front-line portfolio sets MetTel apart from all other carriers.